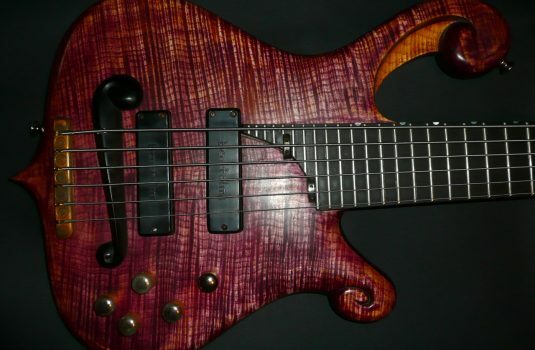 Out of the Ash rises the Phoenix ! 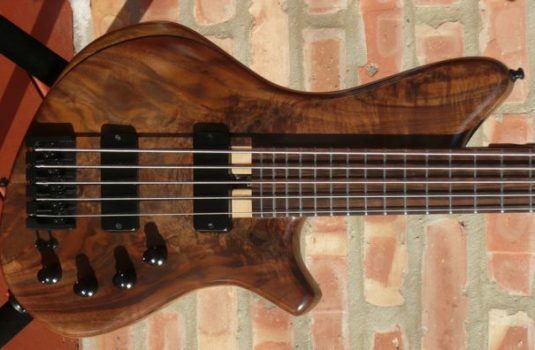 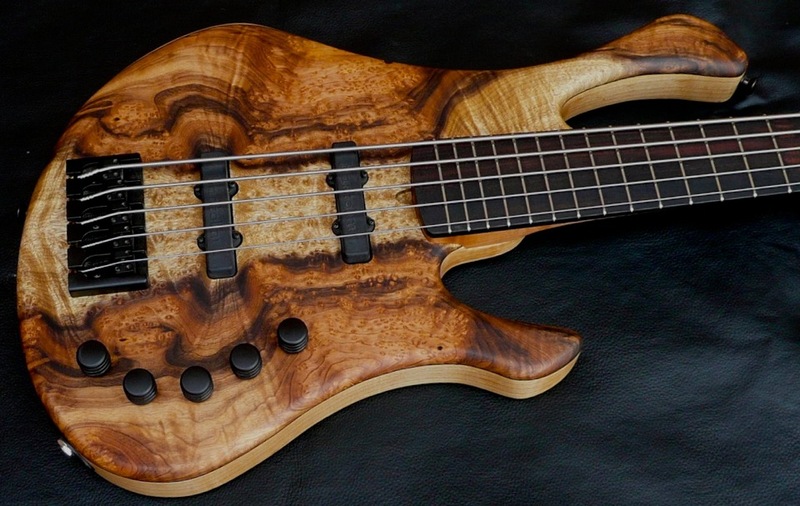 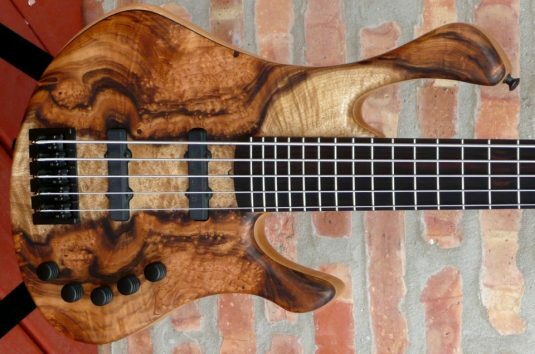 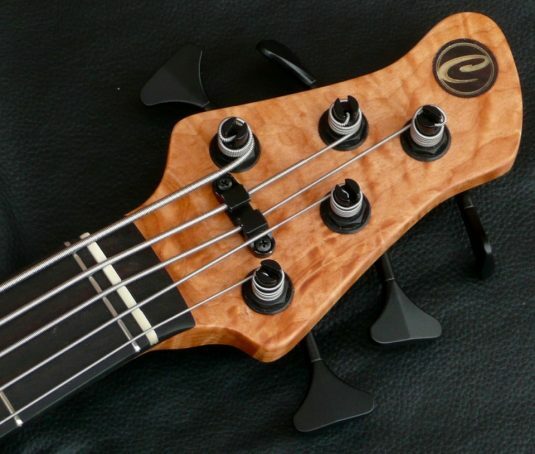 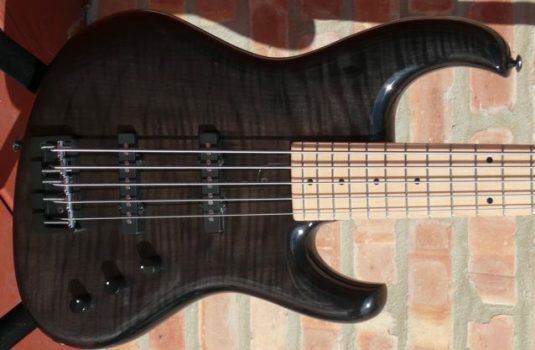 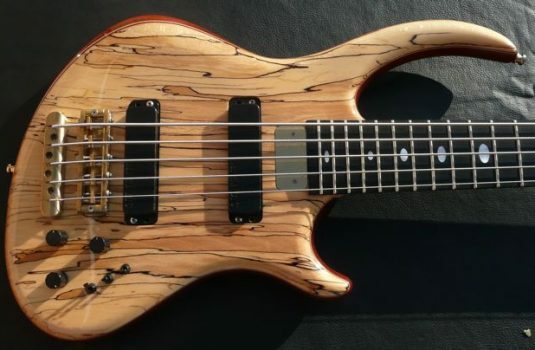 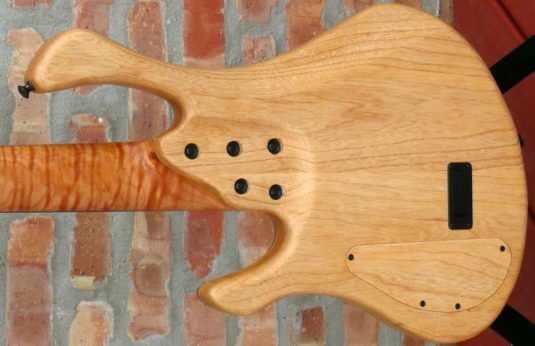 Tom Clement makes basses that exude ” value ” , featuring a great build with top shelf components. This example is the Phoenix body shape, which I feel is an original double cut style. 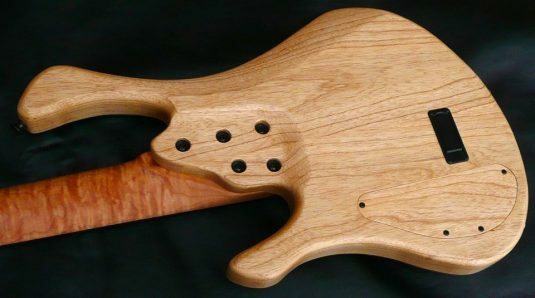 Figured Myrtlewood top – highly figured I’d say.